In Ein El-Hilweh refugee camp, home to 75.000 Palestinians. 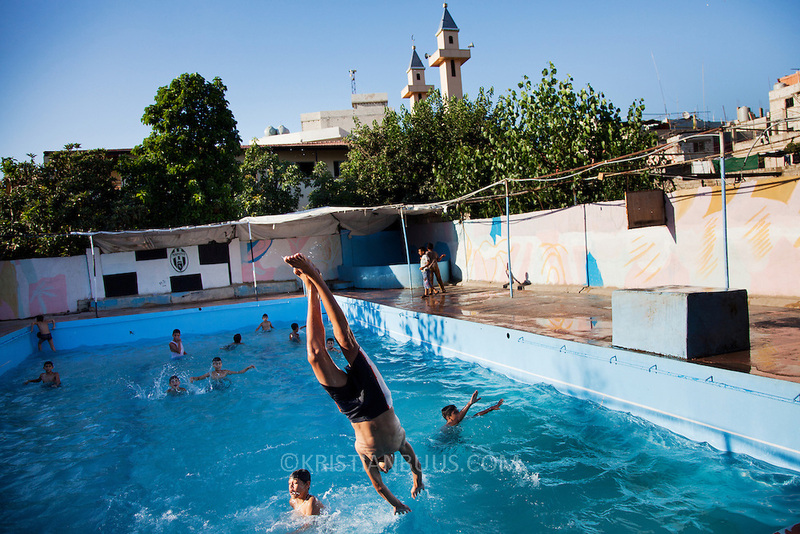 The pool in Ein El-Hilweh refugee camp. Developmental Action Without Borders(Naba'a) work in Palestinian refugee camps across Lebanon to help children in the camps. The camps are densely over-crowded and many of the children are 4th generation refugees living in Lebanon with no citizenship or rights and under immense pressure. Naba'a is a mix of Palestinians and Lebanese and aim to give children a sense of security and freedom to express their needs and rights.Naba'a operates in communities governed by a multitude of political parties and religious groups and Naba'a keeps a strict independed line from any affiliation with any groups.